Covering emergency or pre-existing medical expenses for you or a loved one, here and abroad. Getting you back home if you need medical treatment. Covering trip cancellation, if the weather turns bad, you’re called for jury duty or your National Guard unit is deployed. Covering auto accidents you might have if you’re traveling. Helping you if you have to cut your trip short. Covering your luggage, if it’s lost, damaged, or stolen. Getting you back on the road fast. Good Travel Protection is Essential!!! Ask your Gallivant Travels Travel Consultant about travel insurance. Your Travel Consultant can match you up with the Berkshire Hathaway Travel (BHTP) Protection plan that’s right for you. 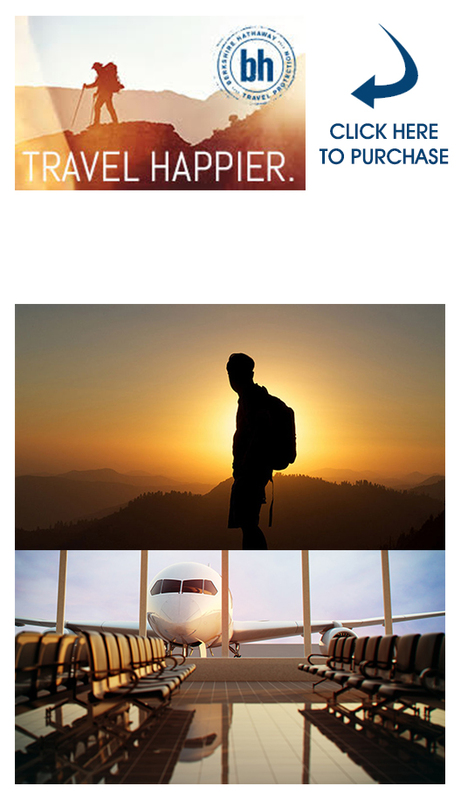 Customer satisfaction is Berkshire Hathaway Travel Protection’s No. 1 goal. If you buy ExactCare within 15 days of your initial trip deposit, and if the amount of coverage you buy equals the value of all prepaid, nonrefundable payments or deposits, BHTP will waive the pre-existing medical condition exclusion, and will cover pre-existing medical conditions up to the policy’s limit.